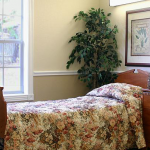 From the time of admission and throughout your recovery, we implement a patient-focused process. Our number one goal is helping you recover and rebuild your life. 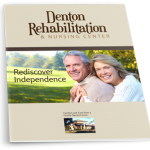 Thank you for considering Denton Rehabilitation & Nursing Center. We seek to enable our residents to live as independently as possible, recognizing that the importance of freedom and dignity does not diminish with age. 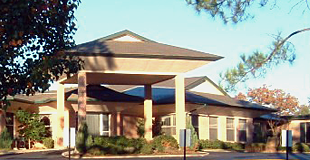 Denton Rehabilitation & Nursing Center is a locally owned and operated skilled nursing facility that is licensed by the State of Texas and certified to participate in both the Medicare and Medicaid programs. Our core management team has worked together for years and has decades of experience providing compassionate healthcare to seniors. We invite you to stop by and tour our beautiful community and meet our friendly staff. Please feel free to contact me, or our admissions coordinator with any questions. We will be happy to assist you in any way. Let us send you a free information kit. Website and all site content copyright®2012 by Denton Rehabilitation and Nursing Center.